Molly Devine is a Durham local, a Registered and Licensed Dietician, a Keto Specialist, has a background as a personal chef, she’s a mom of three, has an autoimmune hypothyroid condition that she was diagnosed with at 12 years old, and she’s saying that the Ketogenic diet is a lifestyle, not a fad. “With Keto, and this way of eating, it’s really the first time that I just feel great,” said Devine. Devine has been on the diet herself for about two years and said she doesn’t feel uncomfortable after eating, bloating has gone down, and her energy levels are great, which allows her to be more productive. 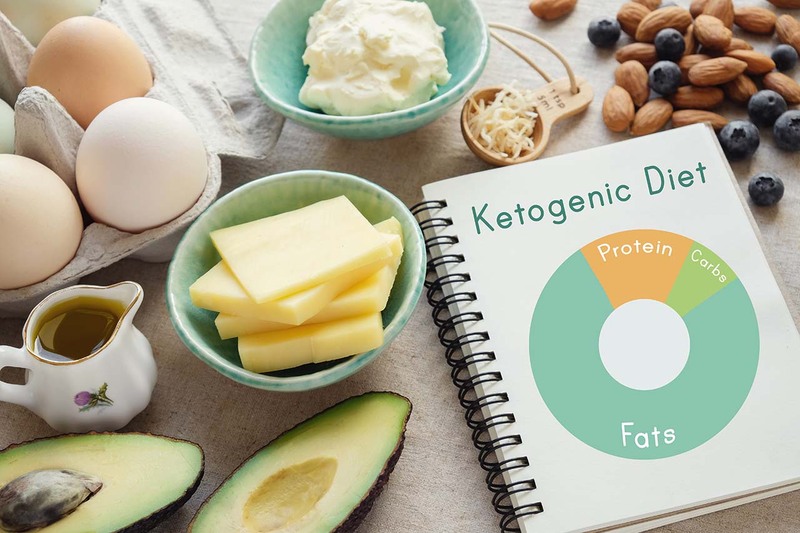 “I really believe in a Ketogenic lifestyle, and so when I counsel people through keto, it’s definitely much more restrictive in the beginning to get your body adapted,” said Devine. The Ketogenic lifestyle is more than a diet. Devine said that exercise, getting an adequate amount of sleep, and keeping your stress down, are all important facets to the lifestyle. But what about the diet part? What does eating keto really mean? “You will be getting about 75 to 80 percent of your daily caloric intake from pure fat sources,” said Devine. It is a lot more fat than what most people are used to. The keto diet is about moderate proteins and an incredibly low amount of carbohydrates, and the carbs that you do consume are mostly from vegetable sources. The goal is to switch your metabolic pathways from relying on glucose to relying on fat sources. “Most people are getting more glucose than they need and end up storing it as fat,” she said. Devine said that when we go from burning glucose to utilizing fatty acids, converting those fatty acids into ketones through our liver, and then using those ketones as our new fuel source, we are running at a much higher and efficient rate. “That’s why some of the great side effects of keto are increased mental clarity, increased energy, better sleep, and not just weight-loss,” she said.